Illicit Version Of Painkiller Fentanyl Makes Heroin Deadlier : Shots - Health News U.S. drug officials have traced a sharp spike in the already climbing death toll from heroin overdoses to an additive — acetyl fentanyl. The fentanyl is being cooked up in clandestine labs in Mexico. Heroin sold in the U.S., like this dose confiscated in Alabama last fall, is often cut with other drugs. Angelo Alonzo, a resident of Portland, Maine, says he nearly died last month after injecting what he believed to be a safe dose of heroin — the same amount he's taken before. But this time, he says, the drug knocked him to his knees. "An amount that usually gives me a good mellow high was just way too much," he says, "and I woke up in the shower and I was cold. And I didn't put myself there." Alonzo was lucky: A friend quickly treated him with naloxone, an emergency antidote, and he entered a rehab program. While it would take a toxicology workup to discover exactly what was in the "heroin" that floored him, Alonzo says he suspects some form of fentanyl — a drug that's making a big showing in Maine. 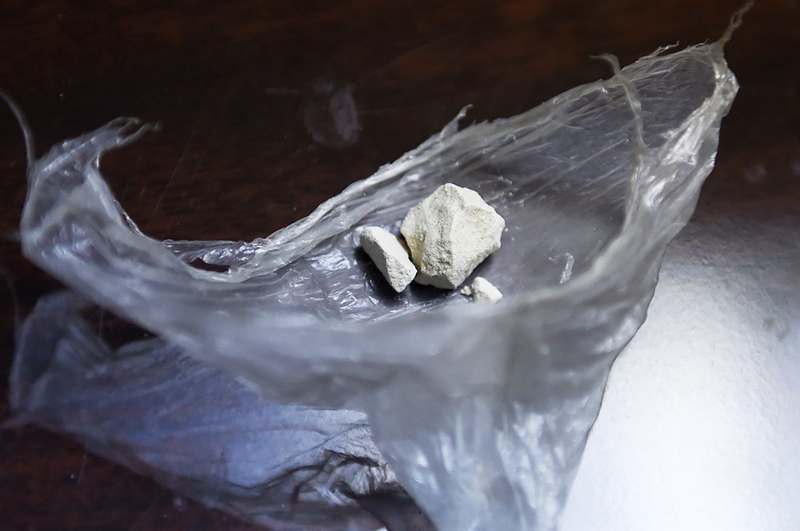 All around North America, U.S. drug officials warn, some drug dealers are lacing heroin with an illicit version of the potent anesthesia drug fentanyl. The dangerous combination is quickly killing unsuspecting users — and worsening the nation's epidemic of deaths from heroin overdose. According to the U.S. Drug Enforcement Administration, fentanyl is 30 to 50 times more potent than heroin, and 80 to 100 times more potent than morphine. Regional drug dealers add the illicit form of fentanyl to the heroin they sell in hopes of restoring the potency of a product that's been diluted by dealers higher up the distribution chain. "If you make that right mix, everyone loves your stuff," Alonzo explains. "But, you know, that right mix might kill some people, too." Pharmaceutical-grade fentanyl is useful during surgery as an anesthesia drug and, in carefully titrated amounts. It also can be a blessing for patients in severe pain. But in the past two years, according to federal drug agents, Mexican cartels have ramped up production of a variant called acetyl fentanyl in clandestine labs. They are smuggling this version into the United States. According to the DEA, acetyl fentanyl may be slightly less potent than fentanyl, but is still quite powerful. It is not yet included in many screens for toxic drugs, the DEA says. And this variant of fentanyl is also not approved for medical use in the United States. Acetyl fentanyl's street price is slightly higher than heroin's, according to the DEA. But drug dealers apparently think the drug's stunning potency makes it a good deal, nonetheless. The flip side? Two milligrams or less — a dose the size of a few grains of salt — can kill. "Heroin is bad enough, but when you lace it with fentanyl, it's like dropping a nuclear bomb on the situation," says Mary Lou Leary, a deputy director in the White House's office of National Drug Control Policy. "It's so, so much more dangerous." There were at least 700 fentanyl-related deaths nationwide in a period from late 2013 through 2014, say federal officials. And many states, as well as Canadian provinces, are reporting a sudden wildfire of overdose deaths. Two years ago, for example, Maine authorities documented just seven deaths related to illicit fentanyl. A year later the number of deaths jumped to 43, and Maine Attorney General Janet Mills says the problem is getting worse. "In July alone, we suspect that approximately one death a day in Maine was due to a drug overdose of some sort," she says. "We are confirming this with laboratory testing, but a substantial number of those involved fentanyl." Law enforcement officers and policymakers are struggling to react to the problem's fast-moving spread. Only a handful of states have added acetyl fentanyl to their lists of banned substances. And the DEA added it to the federal list just this year. Mills says prosecutors should seek the ability to make felony charges in fentanyl cases. That would not only facilitate dealmaking with users to get better information about drug networks, she says, but would also be useful leverage in getting more heroin users into drug treatment. "We want to have a significant sentence hanging over them, Mills says, "so that we can encourage them — force them, if you will — into treatment." Federal and state authorities are trying to boost public awareness about fentanyl and have tried to get out the word locally when they discover a particularly dangerous batch of heroin on the streets. But there's a terrible irony in all this: For some heroin users, as Angelo Alonzo says, danger is magnetic. "Usually when someone hears that people are dropping or dying out there — that's usually when an addict wants that specific stuff," Alonzo says. "They think that the high is unbelievable and they want it. You can understand why. But that's a tough call. You're playing with your life. " It's unclear what Alonzo's next call may be in his own difficult road toward recovery. He recently checked out of the local rehab shelter — against medical advice. Fred Bever is a freelance reporter in Portland, Maine.